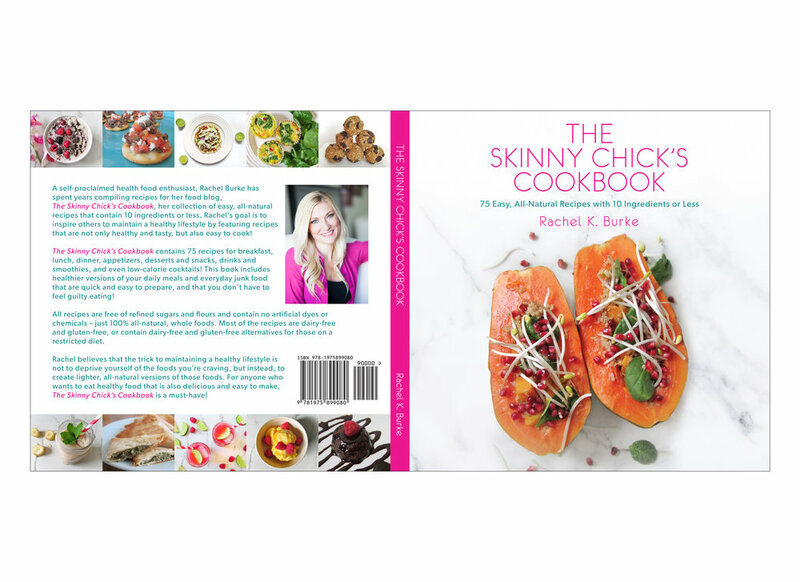 The Skinny Chick's Cookbook is a vegetarian cookbook using all-natural recipes with 10 ingredients or less. The author, Rachel K. Burke, wanted a fun and colorful cover to match the types of recipes you might find inside. I used pops of pink, Rachel's signature color, throughout the book. I helped her select photos, which I then edited for use on the cover and throughout the book. The new font used for the title has become part of her branding on her health blog of the same name. I also created a template for the inner recipe pages, which were implemented throughout the book.